1. No two people have the same set of teeth—your teeth are as unique as your fingerprint, so be proud of your unique set of teeth. 2. Your mouth produces over 25,000 quarts of saliva in a lifetime—that’s enough to fill two swimming pools. Saliva has many uses, including assisting you with your digestion and protecting your teeth from bacteria in your mouth. 3. An average person spends 38.5 days brushing their teeth over their lifetime. 4. Many diseases are linked to your oral health, including heart disease, osteoporosis, and diabetes. 5. Today, around forty percent of people over 65 years do not have a complete set of teeth. 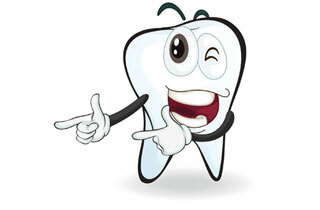 Facts about teeth and younger people: Even people younger than 65 years can have missing teeth. This can happen for various reasons, such as poor oral hygiene or gum diseases. Parents must teach their children oral hygiene from a very young age. On the plus side, lost teeth can be replaced with dental implants. Dental implants are artificial tooth roots to replace the natural roots of teeth. They are placed in the jaw bone with a minor surgery. They blend with the surrounding jaw bones within 3-6 months to form a solid, load-bearing support unit for the dental crowns or dental bridges. You can’t either see or feel the dental implants. What they only do is help. We are all for dental implants, of course only if you need them. Healthy teeth should never be pulled out. We hope you found the teeth facts fun and interesting. Check out our other articles or get a quote by clicking the button down below.